Here is the picture of the colorful machine cozy that Jennifer designed using a bit of the All Iowa Shop Hop fabric. We have a few kits that include all the fabric and the pattern or you can purchase the pattern separately, too. 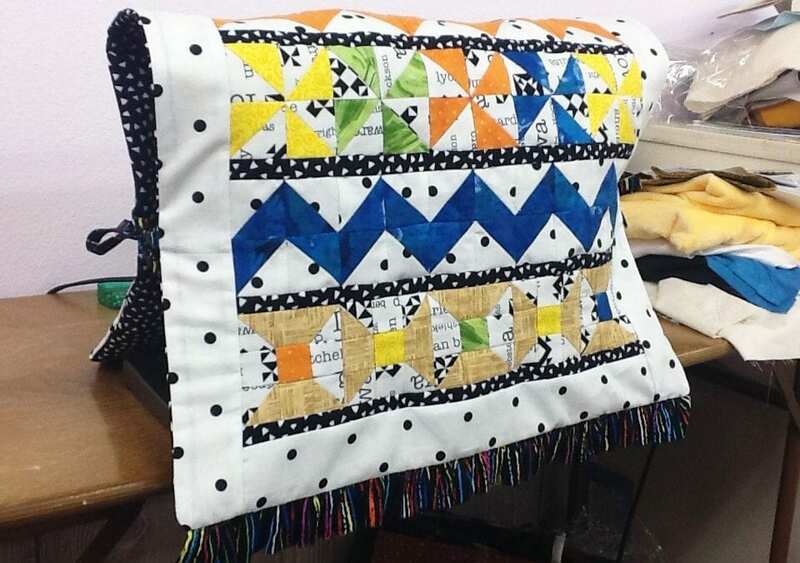 This piece joins the small quilt with the state of Iowa and Iowa star block that she designed earlier. For her first two quilting project designs, I think she has done a great job! The instructions are written very clearly so a beginner can follow them without a problem. The hop continues until Thursday so this is the last weekend before it is completed. We will be open on Sunday from 12-4 and Monday from 9-6 only during this hop. Hope to see you stop in to view the models in person!